BATIAS was fortunate enough to secure some funding to set up the Thurrock Keep Safe scheme. This is affiliated to the national Keep Safe scheme. 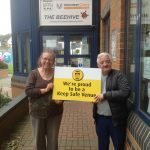 Keep Safe is a free scheme to help vulnerable people feel safer when they are out in the towns of the Thurrock Borough. 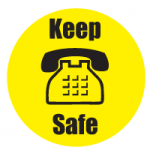 Venues across the Borough display the Keep Safe sticker and will offer the use of a telephone or will make a phone call for members of the scheme if they are in need. For example, if they lose their keys, telephone or wallet, or they are distressed in any way. 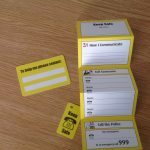 Members join the scheme and are given pack of information which includes a card, that have the phone numbers of their contacts to call for help. We provide details about the venues supporting the scheme, which include shops, supermarkets and public places that will be a safe destination to go to. If you, or someone you work or care for are interested in joining the scheme, call Kate Knight at BATIAS on 01375 389869 to find out more. Here is some more information about what you will get in your pack when you sign up and how to use the scheme cards. Here are some of the places you can go if you need help, look out for the Keep Safe Logo and remember to carry your card or fob!